Alcohol consumption can also damage the reproductive organs and fertility. Most everyone should know by now that drinking alcoholic beverages during pregnancy can be bad for the baby. But did you know that drinking while you are trying to get pregnant can be harmful as well? Men and women who drink heavily can take much longer to conceive than couples who drink little to none. It’s recommended that couples trying to conceive drink a maximum of one glass per day, no more than 4-7/week, and never more than 2-3 drinks at a time (considered moderate alcohol use). Any higher than that and it becomes much more difficult, taking longer to successfully conceive and carry a pregnancy. Another consideration is that a developing baby is “built” on the nutrition and materials available to the body during pregnancy. Alcohol consumption depletes the body of key amino acids, vitamins, and minerals and the health of mother can impact the health of baby when deficiencies are severe enough. That’s the official recommendation. Personally, I would say give it up all together. Why? Well, for one alcohol affects your blood sugar quite drastically. 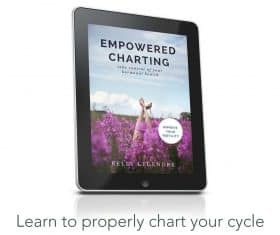 Which in turn affects your endocrine system and too much alcohol can throw your hormones out of balance. Especially if you love drinks like margaritas and mudslides and other cocktail type drinks. These are FULL of sugar! Deficiencies in these amino acids in turn lowers the levels of Serotonin, norepinephrin, enorphins, and dopamine in the body, which can then alter the function of the thyroid and adrenals. In addition to affecting mood and mental health in general, this will also affect the body’s ability to conceive and carry a healthy baby to term. In men, more than moderate use of alcohol decreases testosterone production, leading to decreased libido, sperm motility (health and able to swim and fertilize an egg) and, alcohol use can actually wipe out a sperm count for three months after a heavy drinking session and lead to impotence. In women, studies that have looked at frequent alcohol consumption have shown increased incidences of menstrual disorders and irregular cycles. Prevention is always the best policy! If you don’t drink, don’t start. If you’re an occasional drinker, consider completely avoiding alcohol while trying to conceive (and, of course, throughout pregnancy). If you have a history of mild-to-moderate alcohol use, reducing intake is always beneficial when it comes to improving fertility. Reducing or eliminating intake improves your liver function, pancreas function, adrenal function, and thyroid function. Focus on replenishing your body and enhancing function. Choose healing foods like spirulina and lemon water. A diet rich in bright colors and whole foods are going to be the most nutrient dense foods. Bone broth made from the bones of grass-fed animals will be rich in amino acids that will help to restore amino acid levels and, as a result, hormone levels. External support is crucial to understanding the roll alcohol plays in your life. Often times addictions result from periods of high stress or trauma. Exploring the root cause, as well as associated emotions will allow recovery to be more effective and sustained. Reach out to friends, loved ones, health care providers, counselors, natural health practitioners and support groups when assembling your recovery team to ensure success. I don’t drink, so this one is easy for me. However, I think a time of trying to conceive is very stressful especially if waiting months and months. If someone told me “no chocolate” while trying to conceive. I think I would go with once in a long while or maybe on my periods! 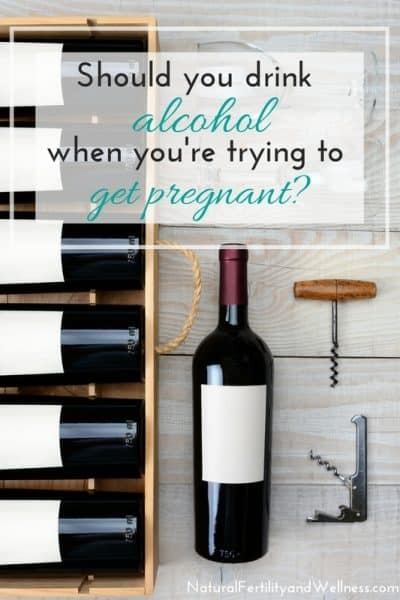 There is also the other factor of drinking alcohol before you know that you are pregnant! THAT can be super stressful too. I normally don’t drink very often anyways, so I guess it’s an easy thing for me to give up as well. Although I’ll do wine on special occasions when I know FOR SURE I’m not pregnant. And since I normally don’t find out until I’m 5 or 6 weeks along, I’m usually not FOR SURE very often. 🙂 So basically – no drinking for me! 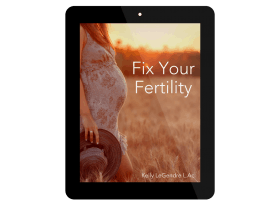 We don’t have any kids yest, but my husband and I are taking a few months to prepare for conception, especially to really focus on our health. I am completely giving up alcohol, but I don’t drink much so that isn’t too much of a hardship. (I too think giving up chocolate would be a lot harder!) He is going down to just one drink anytime that we are at an event where he would normally drink (like a backyard bbq, once every few weeks). I don’t know how much of a difference it will make, but it isn’t much work for a lot of peace of mind so we think it is worth it. Anonymous – you’re right, it isn’t that much work for peace of mind! And best wishes on conceiving! Donielle, I would love for my husband to stop drinking to see if that would improve his numbers any. Do you have a link to the study that you are referencing? A post on a blog won’t convince him, but a published article or study might. I stopped drinking any alcohol for a long time when we first started trying. Then after not getting pregnant, I started drinking occasionally at parties and get-togethers. Spinner – The stats on womens fertility came from the British Medical Journal in 1998. The info on men is from Anthony Harsh, an andrologist at Whipps Cross Hospital in the U.K.. Both have been referenced on line and in books I've read quite often. (I broke the link to fit it in)but I don't know which specific one it's in. I don’t drink, but my husband does. We have been trying to concieve for almost a year. He drinks heavily,had a vasectomy reversal two years ago. I have told him,pleaded with him many times regarding the effects of drinking and ability to concieve…but he just doesn’t seem to get that it matters….do you have any resources/info on how to deal with the situation better…As the months go by, I am finding myself much more tense,stress which isn’t helping the situation. I should say, I try to eat a relatively clean diet full of healthy fats/proteins….I am working on kicking the one cup of coffee a day….but past that…stick to alot of whole foods….no sugar/processed food. Thanks on any insights. @anonomous, You know – my husband doesn’t always eat like I’d like him to. So my theory is that I’ll try and get as much ‘good’ into him as I can! A lot of times we just don’t listen to those closest to us….which always feels very hurtful, so I’m sorry you have to deal with it. So I guess, feed him really good foods, see if he’ll take supplements, and pray. So sorry he’s not on board with you!But also know that there isn’t usually just ONE reason for infertility, though it is hard not to judge. Thanks so much for your insights. It is nice to share and get support. I will certainly continue to try and improve both of us. thanks again for such a great site.